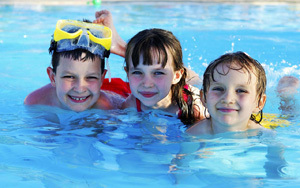 As one of the northside's best public swimming complexes, the Chermside pool and water park has something for everyone. 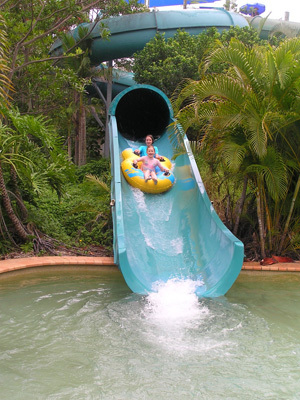 There are water slides and fun activities suitable for young children all the way through to the big kids and adults. 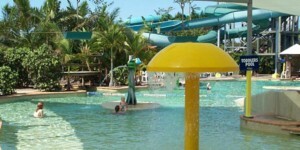 The water slides are one of the Chermside pool's greatest attractions, however the park also features a 25 metre outdoor pool and a 16 metre indoor heated pool. 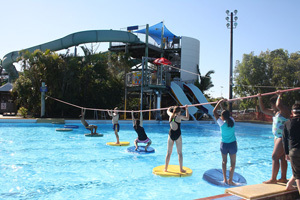 Set in lush tropical gardens that add to the atmosphere of being somewhere very special, the Chermside Pool & Water Park is the perfect place for a family outing or corporate function. Splash offers free off street parking, catering facilities, professional lifeguards and reserved shaded areas for all pre-paid group bookings. 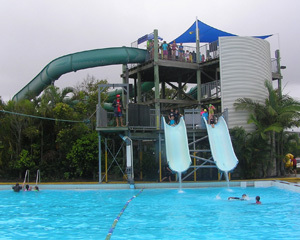 The Chermside Water Park features a range of water slides and activities to suit visitors of all ages and swimming levels. Leap off the ever popular jumping platform.